New York (ESCAP News) — The experiences and challenges of Asia-Pacific’s countries in implementing the 2030 Agenda for Sustainable Development will be emphasized by the United Nations Economic and Social Commission for the Asia and the Pacific (ESCAP) in high-level side events held alongside the High-Level Political Forum on Sustainable Development (HLPF), and the fifth biennial meeting of the Development Cooperation Forum (DCF) in New York next week. Convened under the auspices of the Economic and Social Council (ECOSOC) the HLPF ministerial segment held from 18-20 July is the essential global forum for providing political leadership, guidance and recommendations on implementing the 2030 Agenda. The DCF held from 21-22 July will review the latest international development cooperation trends, bringing together policymakers, civil society organizations and private foundations. 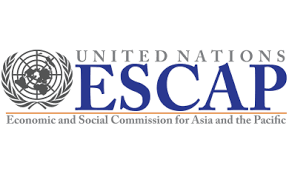 This entry was posted in News and tagged Asia, ESCAP, Pacific, Sustainable Development Goals on July 14, 2016 by Julia Dean. This entry was posted in News and tagged APCICT, ESCAP, ICT, SDGs, sustainable development on December 7, 2015 by United Nations.